Christian Conservatives who are willing to cut funding to those who need a leg up in a wicked world comprised of injustice and undeserved disadvantage, take note. 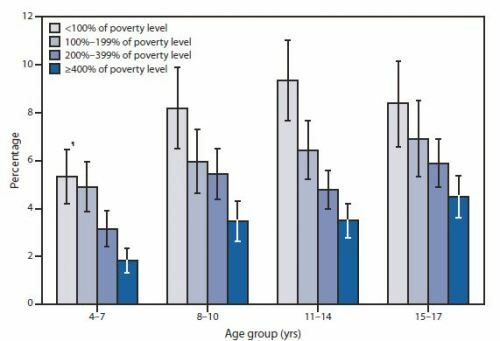 The chart above demonstrates the correlation between children with serious mental or behavioral problems and poverty. Note also the unmistakable decline as income rises. It’s hard to miss another correlation: the incidence of Christian conservatism and the sort of laissez faire capitalism that comforts the comfortable and afflicts the afflicted. More on that soon. This entry was posted in Current Events, Politics on May 26, 2011 by Michael Happy.